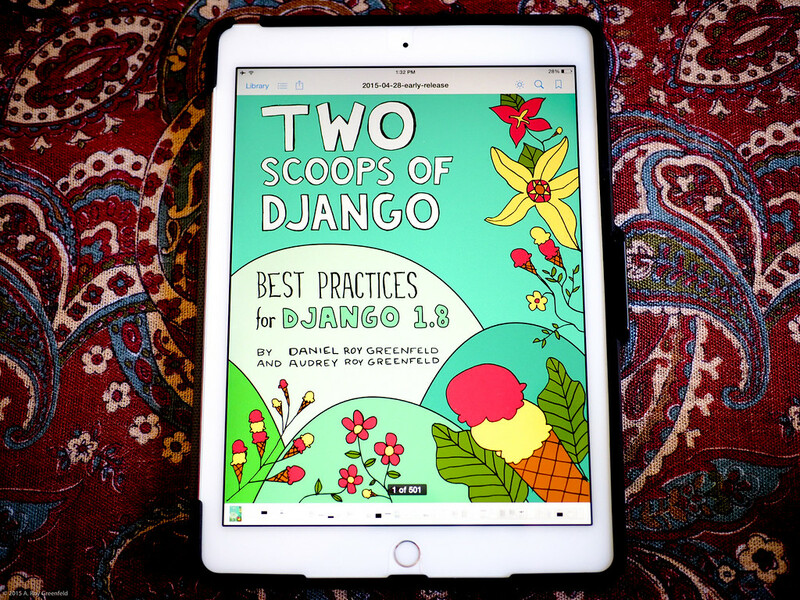 Code Makes Me Happy: Two Scoops of Django 1.8 is out! Daniel Roy Greenfeld and I have updated Two Scoops of Django to 1.8, since Django 1.8 is a Long Term Support version. The book is now available as a PDF. I know this will make a lot of folks happy! The print paperback is coming soon (US and India editions to start). I wrote half the book, including some of the rather difficult parts :) I also did the illustrations. The book is filled with a ton of weird cartoons and silly humor. Enjoy, and hope it's helpful!